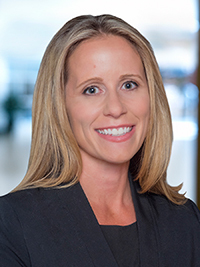 Jennifer was named Chief Operating Officer of Equities in January 2019 after having joined Baird in 2011. She is responsible for managing the department’s resources, leading the global corporate access strategy and actively recruiting across the firm. Prior to joining Baird, Jennifer spent 11 years in a variety of sales, client service and leadership roles across industries. She is actively involved with the Ronald McDonald House Charities of Eastern Wisconsin where she serves on the Human Resource Committee. Jennifer received a BS in Public Administration as a scholarship athlete at the University of Wisconsin-Green Bay and holds a Series 7 & 63 license.